One of our most popular webinars ever! 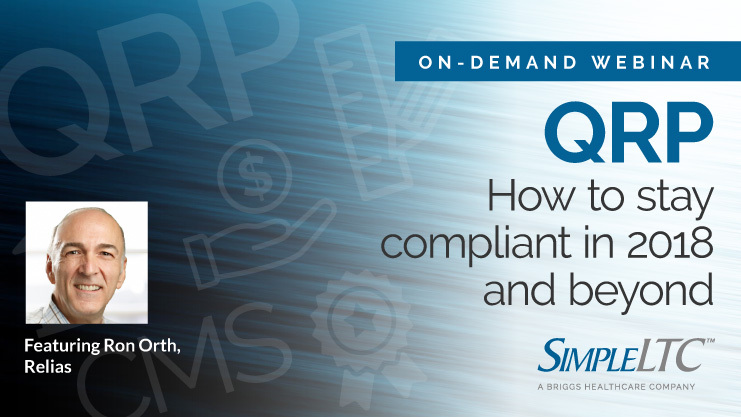 Learn how to avoid the 2% penalty and meet QRP compliance requirements. In October 2016, CMS implemented the SNF Quality Reporting Program (QRP) with the introduction of three SNF QRP Quality Measures. Starting October 1, 2018, many facilities will feel a 2% SNF PPS payment rate reduction due to not meeting the minimum MDS completion standards related to this program. Also on October 1, 2018, several new SNF QRP Measures will be implemented that could have financial impact next year. Are you up to date on the new SNF QRP Quality Measures and compliance requirements? Learn the details about how QRP will affect your organization from one of our industry’s most recognized experts. Administrators, DONs, Nurse Managers, MDS staff, Therapists and anyone involved in the monitoring of QRP processes. Ronald Orth, RN, CMAC, CHC, possesses over 30 years of nursing experience, including over 20 years in the Skilled Nursing industry. 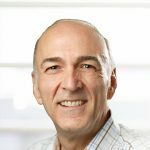 He has extensive experience teaching MDS coding and process requirement and Medicare regulations to healthcare providers both in the U.S. and internationally. Mr. Orth is currently the Post-Acute Care Curriculum Designer and Senior SNF Regulatory Analyst at Relias and is certified in Healthcare Compliance through the Compliance Certification Board (CCB). He holds a nursing degree from Milwaukee Area Technical College and a B. A. in Health Care Administration from Concordia University.